I’ve been thinking about birds. I’m going to make ceramic birds for a big piece I’m planning so I guess this is practice. 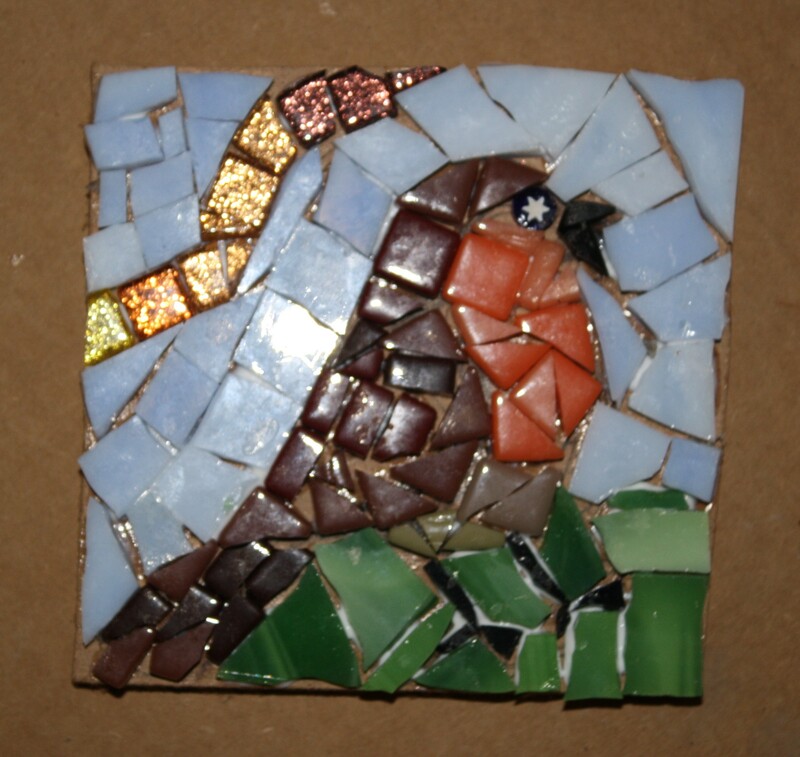 I can’t decide if I want the birds on the big mosaic to look realistic or whimsical. I’m sure I’ll know exactly what to do when I start creating them with clay. I made the bird tonight with new glass tiles that I got last week. I love the saturated colors. They’re like the pretty glass I got a few weeks ago (remember, I made a few mosaics with them) but these are thinner so they’re easier to cut and mix with other kinds of glass. The sparkly glass is also new. I love its starry eye!